Maps and evaluates wetland health: The monitoring data are used to assess the condition of freshwater wetland conditions, which provide vital services such as reducing the impacts of stormwater runoff on streams and lakes. Tracks impacts to wetlands and supports permitting: Information on changes in freshwater wetlands can be used to determine how these areas are impacted by stressors, such as proximity to development. This information is key to determining what activities are allowed and how often they are allowed near or in wetlands. Demonstrates effectiveness of management strategies: Monitoring is essential to evaluating the effectiveness of management strategies and assists in directing future strategies. Prioritizes wetland restoration: Managers can prioritize restoration projects based on the information obtained through monitoring. Informed wetlands management also identifies areas known as buffer zones adjacent to wetlands that need to be protected in order to maintain the quality of the wetland. Rhode Island has almost 112,000 acres of freshwater wetlands, covering approximately 16 percent of state surface area. Wetlands are areas that are flooded or saturated for part of the year, resulting in an ecosystem with unique soils and plants that grow best in wet conditions. Typical freshwater wetlands are bogs, swamps, and marshes, while wetlands that are flooded by saline tidal water are called salt marshes. Despite their similarities, this section will focus on the unique aspects of freshwater wetlands. Wetlands provide coastal communities with many benefits. Their high capacity to hold water acts like a sponge to soak up rainwater that might otherwise cause floods. Water held in wetlands can seep into the ground to recharge streams and groundwater aquifers. Wetland plants filter out pollutants from the water as it flows through the wetland. These areas are also rich in plant and animal diversity, supporting activities such as hunting, fishing, bird watching, nature walks, and photography. These ecosystem services—the benefits people obtain from wetlands—have an economic value. For example, it would take a $5 million treatment plant to remove the same amount of pollutants as the Congaree Bottomland Hardwood Swamp in South Carolina. 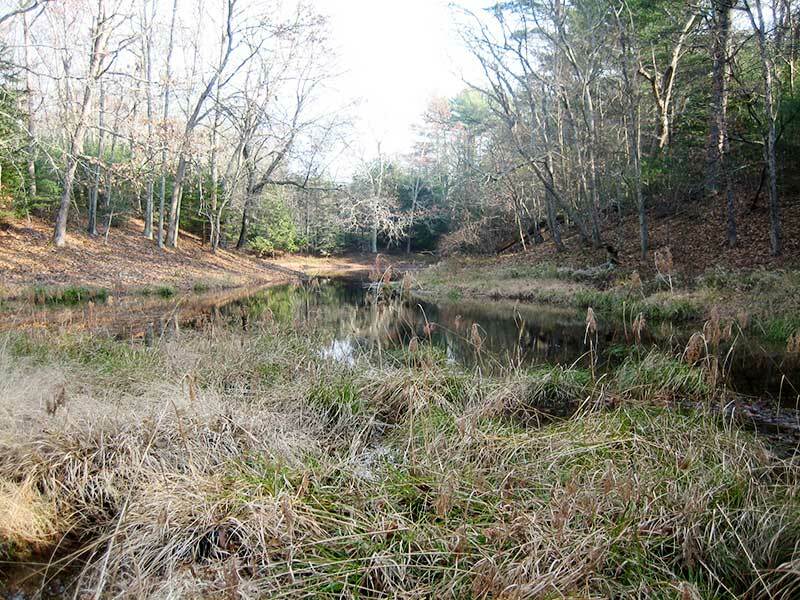 Additionally, wetlands provide essential fish and wildlife habitat, supporting rare Rhode Island plants and animals such as the yellow lady slipper, the American bittern (bird), and the leopard frog. Unfortunately, the legacy of viewing marshes and swamps as wasteland has led to the degradation or destruction of many freshwater wetlands by human activity. Fortunately, the state now regulates construction and other activities near freshwater wetlands. Monitoring freshwater wetlands is an essential element of a comprehensive water monitoring strategy, helping environmental managers to determine the location, size, and condition of our freshwater wetlands. This information improves how we protect and manage these areas by identifying major stressors that negatively impact wetlands.